Pretty Muddy events are a twist on the classic Race for Life event, and consists of a brilliantly muddy 5k race over a number of obstacles. Runners can scramble over the A-frame, crawl through the mud pits, and wade their way through as much mud as the organisers can throw at them. Most importantly, they can have fun with their friends and raise valuable funds for beating cancer! 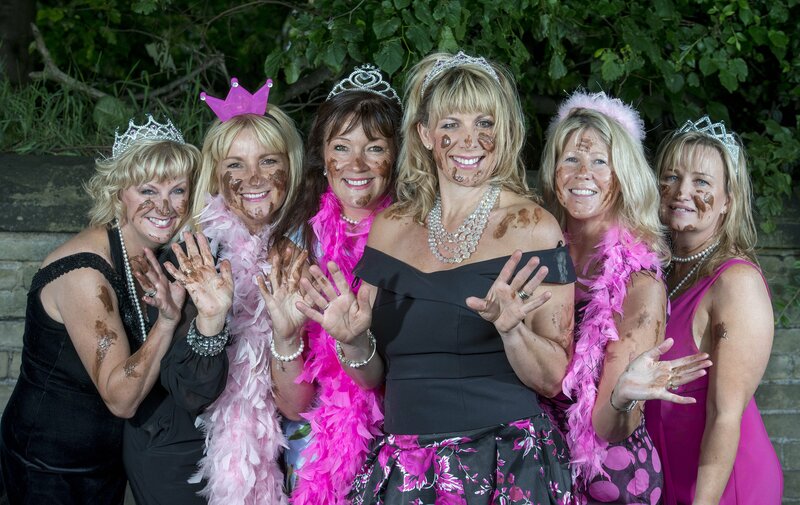 Team Pink Fizz is made up of Mandy, Vicki, Angela, Caron, Janet, Karen and Sharon.